CDIP has used a wide range of instrumentation over the years. 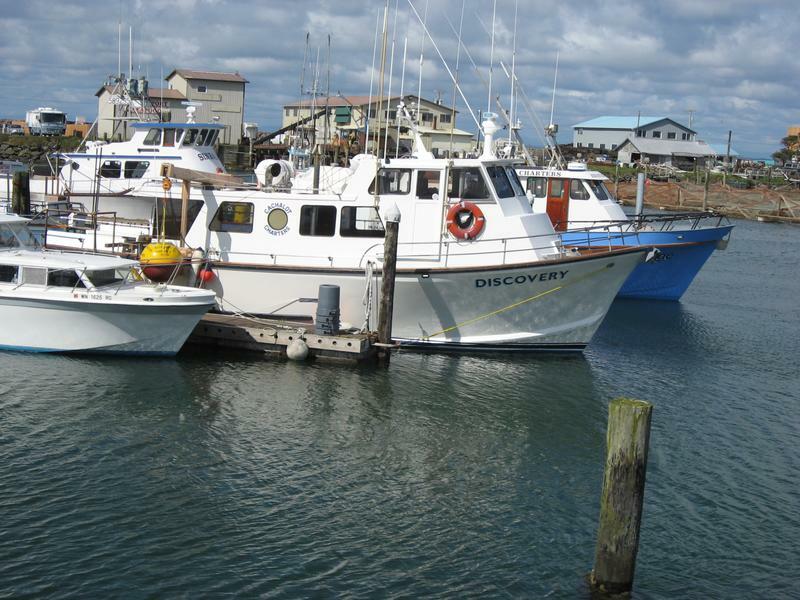 Because data has been collected from such a diverse assortment of sites - from inside harbors and basins, from the pilings of piers and oil platforms, from isolated nearshore and remote offshore locations - each sensor has to be carefully chosen and prepared for its specific environment. In addition to enviromental factors, technological advances have also spurred changes in CDIP’s instrumentation. Over the decades the program has been in operation, sensors have become much more refined and accurate. 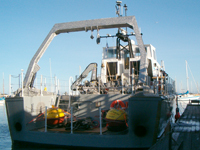 The focus of CDIP’s instrument development and use has naturally been on wave measurement. 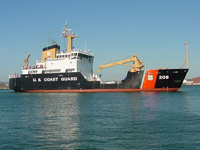 Two main approaches have been pursued - using fixed underwater sensors, which measure the height of waves passing above, and using surface buoys, which record their own motions with the sea surface. Single point gauges are pressure sensors which are mounted at a fixed position underwater. These instruments measure pressure fluctuations - the changing height of the water column above the sensor - associated with passing waves. 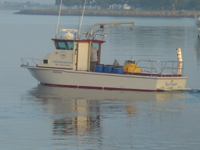 These pressure time series can be converted to sea surface elevations and wave frequency spectra. CDIP’s very first deployment, at Imperial Beach in 1975, was of a single-point gauge. A single-point gauge is presently still in use at Scripps Pier. 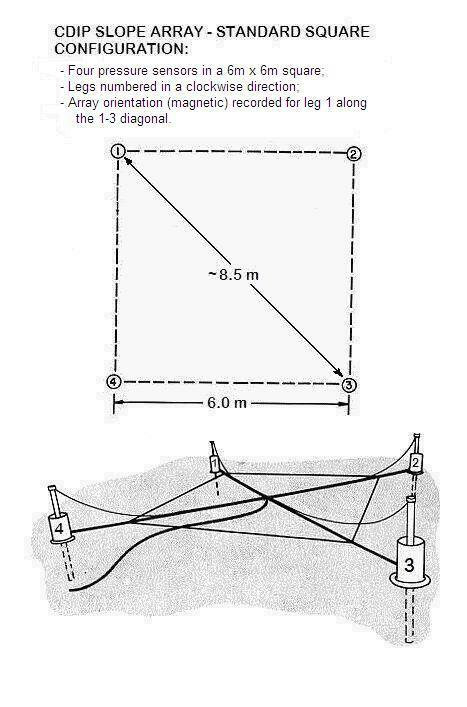 Single point gauges are generally used close to shore, where they can be cabled directly to a land-based field station that records the data. 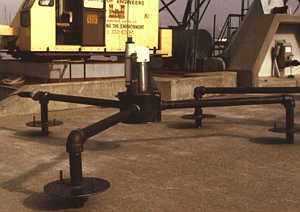 In areas where there are existing structures like piers, the single-point gauges can be mounted directly against the sub-surface portions of pilings or other features. In other areas, the gauges are deployed atop tripod mounts. CDIP has used pressure sensors from a number of manufacturers, such as Paroscientific and Sensotec. For specifications and more information on the sensors themselves, check the links below. Although single-point gauges can effectively measure wave height and period, they can not be used to determine the direction waves are travelling. When multiple underwater pressure sensors are placed in close proximity, however, comparison of their measurements does allow direction to be resolved. To take advantage of this fact, CDIP developed slope arrays which allow directional wave analysis. 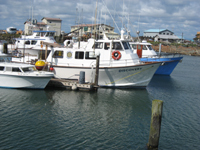 The first array was deployed at Santa Cruz in 1977, and the most recent array, at Kings Bay, Georgia was in service from 1995 to 2006. CDIP’s standard array formation consists of four pressure sensors placed in a six-by-six meter square. Like the single-point gauges, arrays are generally used in nearshore waters and cabled directly to shore. In a few instances, however, CDIP has deployed arrays on offshore platforms, e.g. 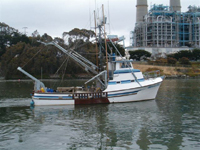 on Harvest Platform in California and at Kings Bay, Georgia. In these cases, the geometry of the array varies with the platform configuration, and the data is recorded on the platform and sent via radio link back to shore. Pearl Harbor, Hawaii. A standard array ready for installation. Given the dynamic nature of the ocean environment, deploying and maintaining wave sensors can be a very demanding undertaking. As CDIP has shifted emphasis from pressure sensors to buoys, the nature of this work has changed, but always remained challenging. 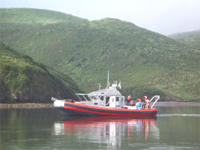 Up through the early 1990s, when CDIP was primarily using pressure sensors and arrays, much of the challenge stemmed from the fact that the instruments were being deployed close to the surf zone and had to be connected by cable to a shore station. While installations on existing structures such as piers or harbor pilings were relatively straightforward, other installations - especially on high-energy beaches - could be very involved. 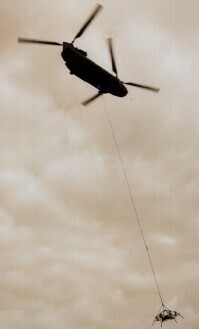 In some cases, CDIP had to rely on amphibious vehicles (LARC) or helicopters to transport instruments outside the surf zone, lower them to the bottom, and lay cable back to shore. 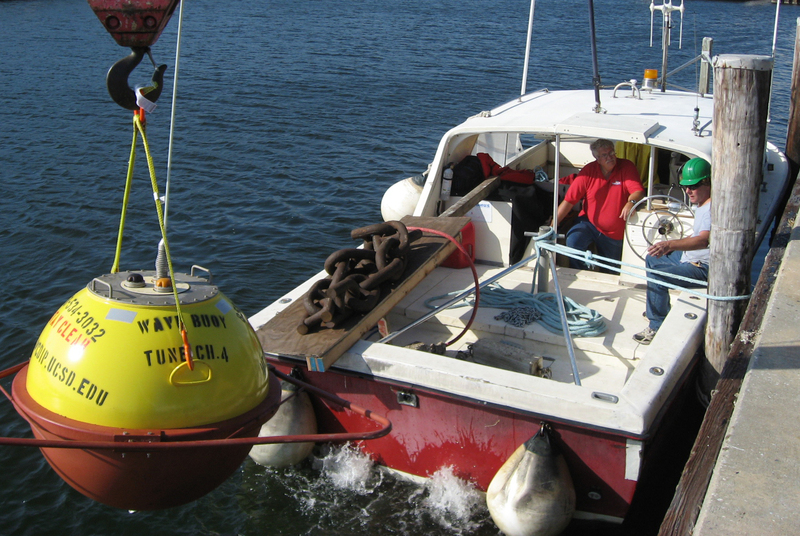 When measuring waves far offshore or at remote locations, buoys are often a more practical solution than pressure sensors. 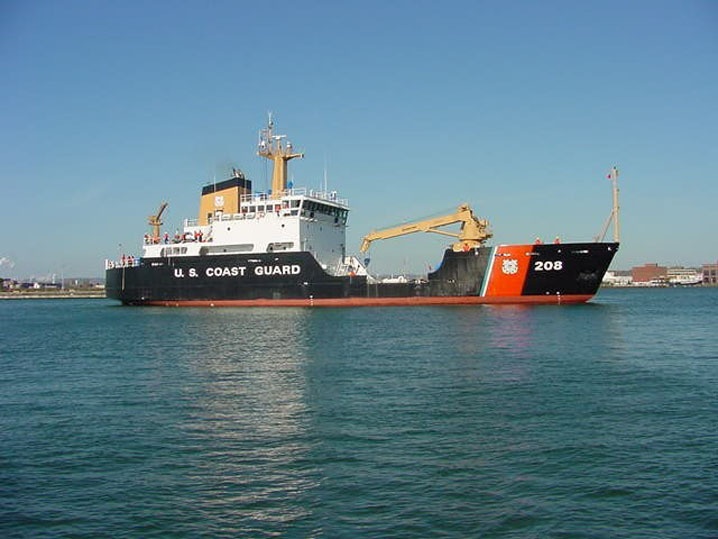 Riding on the ocean surface, buoys do not need to be linked by a cable to shore; with an antenna on top of the buoy, data can be transmitted via a radio link. 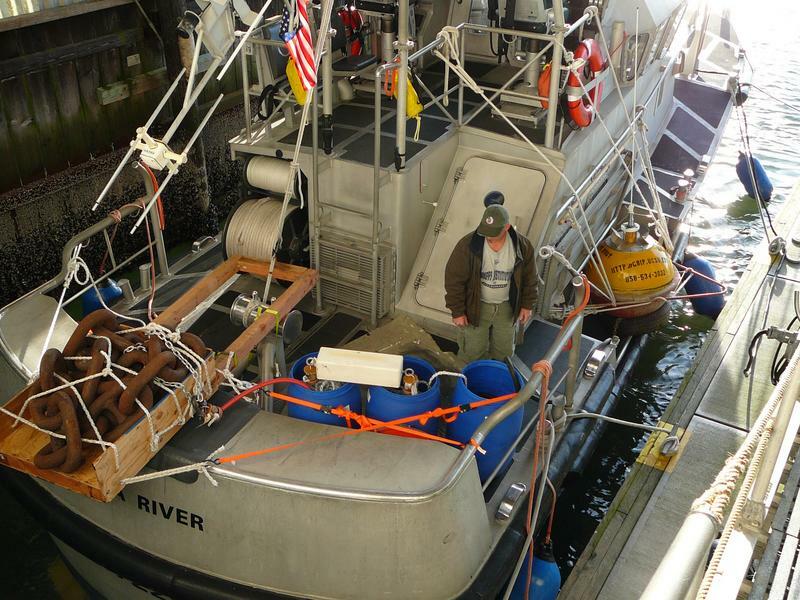 They are also easier to deploy, move, and recover, securely attached to a mooring that anchors them to the bottom. 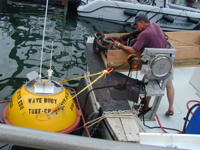 The first buoys used by CDIP were non-directional, measuring wave energy only. Equipped with one accelerometer, these instruments measure wave height by recording the vertical acceleration of the buoy as it rises and falls with passing waves. Over the years from 1978 to 1998, two types of non-directional buoys were used - Wavecrest buoys and Waverider buoys. 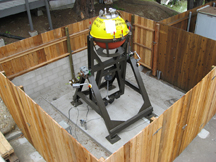 The Waverider, a 0.9-meter spherical buoy produced by Datawell b.v., was by far the most frequently used by CDIP. 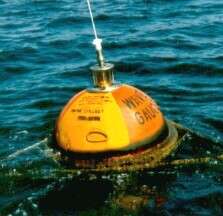 During the 1990s, CDIP gradually replaced all of its non-directional buoys with directional buoys manufactured by Datawell. 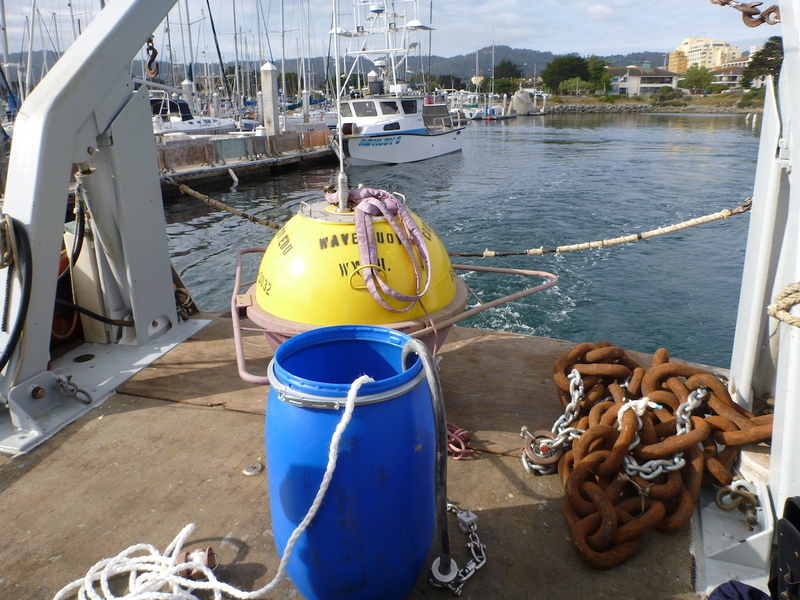 These buoys use hippy heave-pitch-roll sensors to measure wave direction as well as wave energy. They also have a pair of horizontal accelerometers for measuring north/south and east/west displacements. 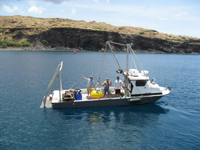 This translational system uses pitch-roll to correct the buoy movement to a fixed x-y-z reference frame; it has a better signal-to-noise ratio than buoys that use pitch-roll directly to estimate directional wave properties. 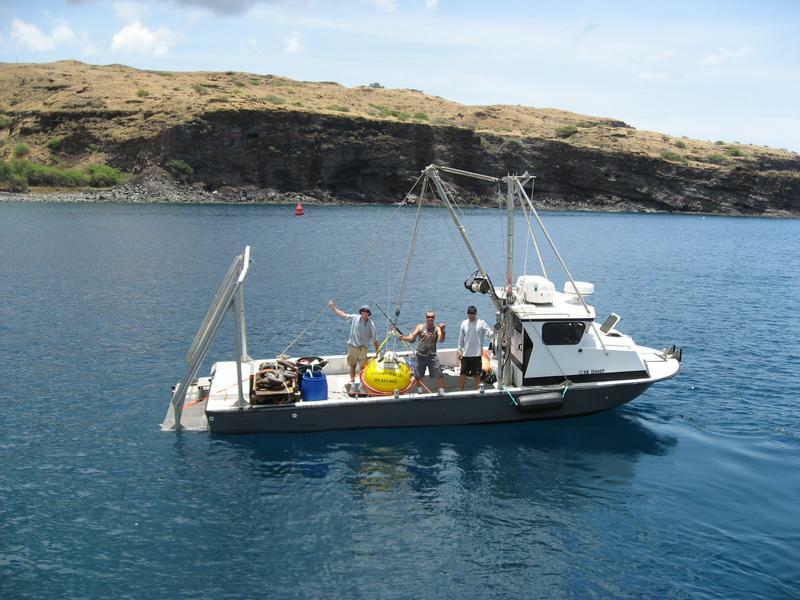 Datawell’s Directional Waverider buoy is now the primary instrument deployed and operated by CDIP. Like the non-directional Waverider, it effectively measures waves with periods from 1.6 to 30 seconds, with an error of no more than 3%. 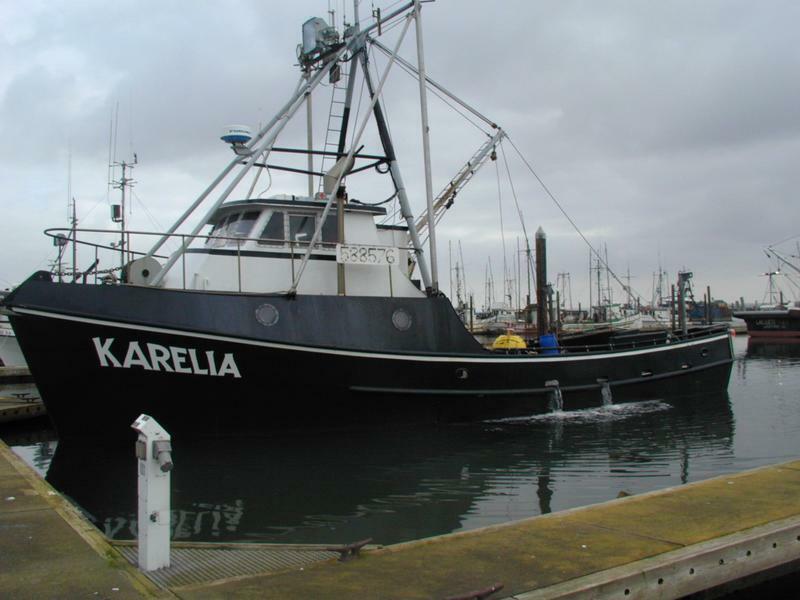 It also measures wave direction and sea surface temperature. The temperature sensor is located at the base of the .9 meter spehrical buoy, approximately 45 cm or 18 inches below the surface. In accordance with IALA standards, the buoys are equipped with a light that flashes 5 times in a 20-second cycle (5 flashes 2 seconds apart, followed by a 12-second pause). As of 2017, CDIP is now phasing in Datawell’s waverider 4 buoy, a significant improvement over the previous model. 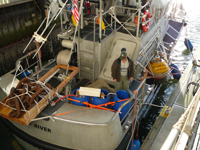 It now samples the accelerometer at twice the rate of the Mark III buoy thereby measuring wave height with wave periods of 1 to 30 seconds with an accuracy of 0.5% of measured value. 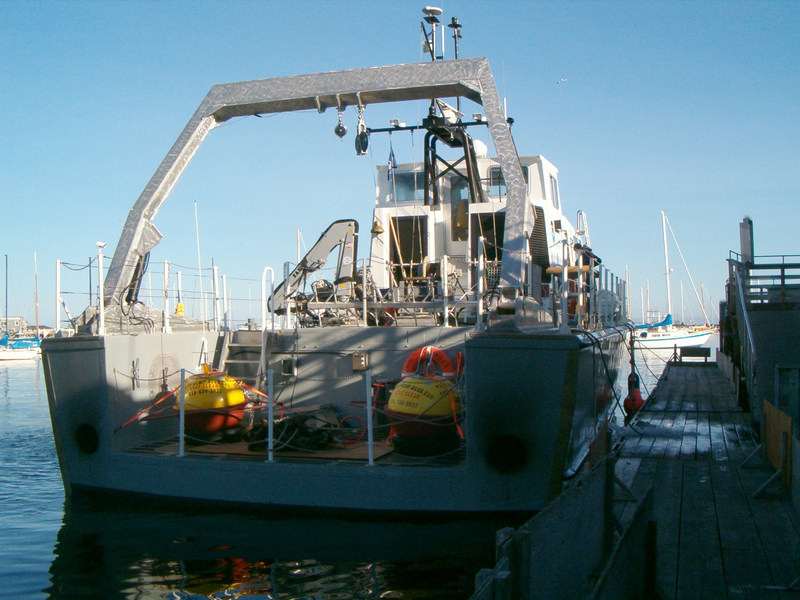 In addition to measuring wave direction and sea surface temperature, it can also measure surface current using 3 acoustic transducers integrated into the hull. The messaging protocol is completely re-worked to achieve the required flexibility to send different measured data types with different sample rates. Couple this with the solar cell and Cunifer10 hull options, this sensor is easy to handle and deploy, low maintenance and very robust. 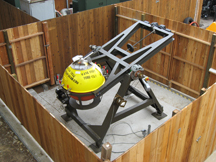 CDIP constructed a Calibration Facility based on Datawell’s own facility design in order to calibrate its directional wave buoys before deployment. 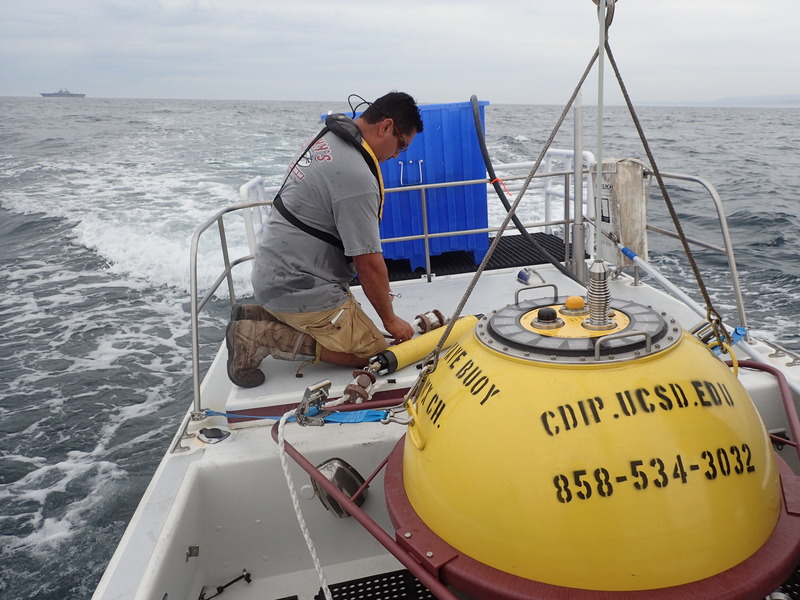 The facility allows CDIP to test buoys with variable frequencies which imitate the ocean’s different wave conditions. Buoys present a different set of challenges. 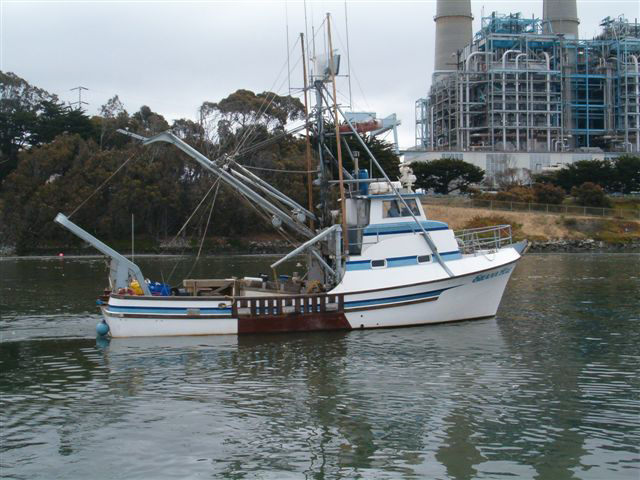 Although they do not need to be cabled to shore, they do need a secure anchor and mooring line. 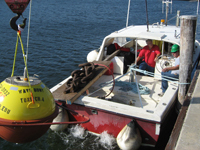 In most cases, the 400-lb directional buoys are anchored with about 1200 pounds of ballast chain. 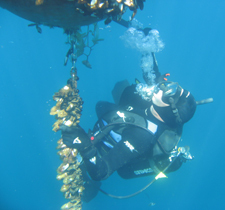 This anchor is attached to a mooring line approximately twice the water depth at the buoys location. For a buoy like those at Point Conception or Point Reyes, in over 500 meters of water, a mooring system of over 1000m may be used. Laying out all of this mooring and then dropping the anchor and buoy at precisely defined coordinates in the open ocean is not an easy task. 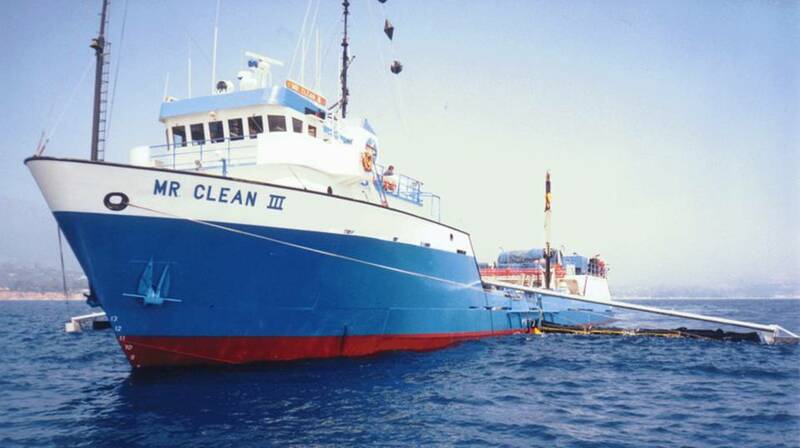 In Southern California waters, CDIP uses its own work boat, a 26’ Wilson named the SeaDipper, for deployments and recoveries. 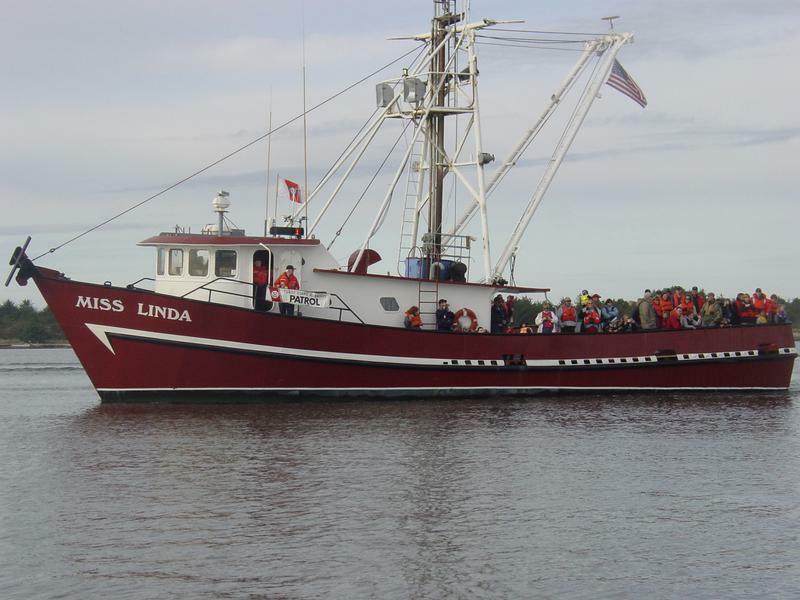 Further afield, the Coast Guard and other organizations often lend assistance. 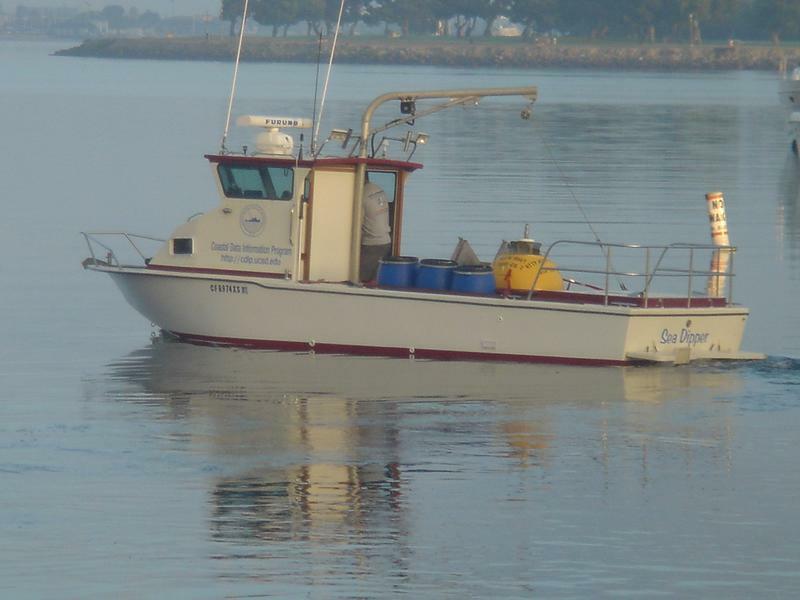 26’ Wilson owned and operated by CDIP in SoCal waters. 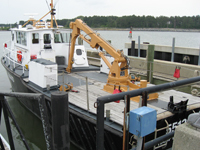 Once the instruments have been deployed, service and maintenance needs are generally minimal. For single-point sensors and arrays, uninterrupted data acquisition commonly proceeds for years at a time. There is no limit to their life, since they are powered through the cable that attaches them to shore. 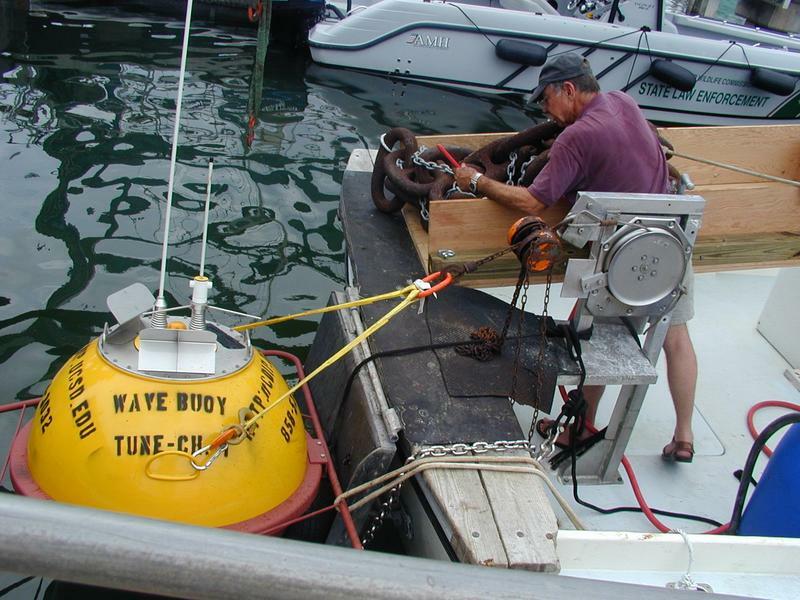 Buoys, on the other hand, require more attention since they are powered by batteries in the buoy hull. Approximately every 2 to 3 years, buoys are swapped out and replaced with newly-calibrated buoys filled with fresh batteries. 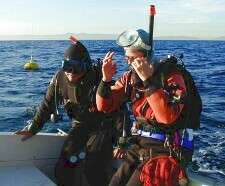 Despite the longevity of the sensors, CDIP staffers enjoy getting in the water, and periodically dive to work on instruments and their moorings. 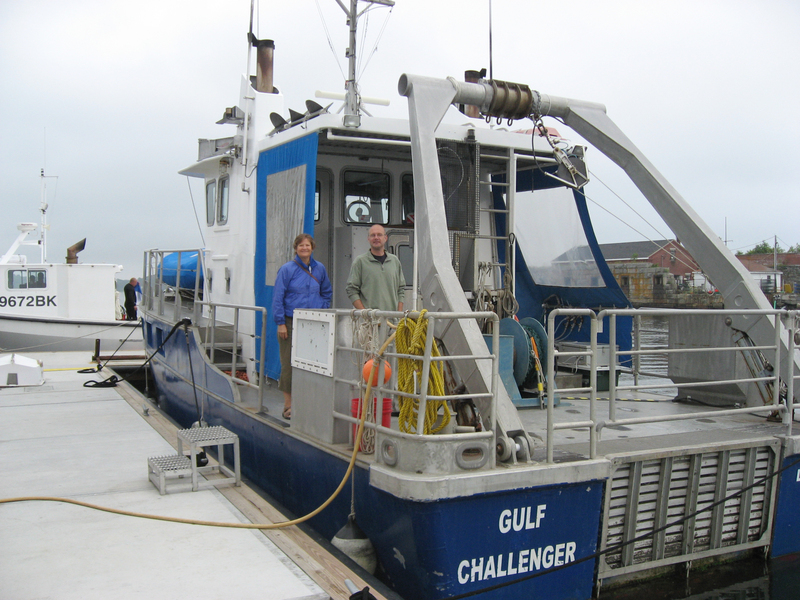 Although CDIP focuses on the collection of wave data, at some sites wind, pressure, and temperature data are collected to complement our wave measurements. In addition to sea surface temperatures for directional buoys, CDIP has collected mid-column, sea bottom, and air temperatures at Scripps Pier. 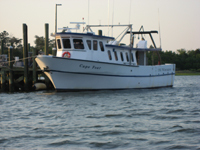 At Kings Bay, Georgia, air pressure measurements have been made. 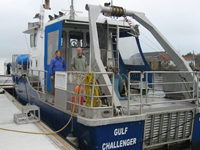 And winds - so important for the generation of waves - have been measured at a number of sites. For the most part, CDIP’s wind, temperature, and air pressure measurements have been made with standard instrumentation. 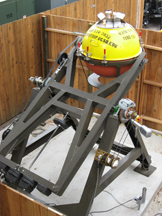 One exception to this is the CDIP wind buoy, an instrument specially designed for deployment in proximity to a wave buoy. Built from the hull of a Waverider buoy, the wind buoy is powered by solar panels and batteries, and collects wind data with an R.M. Young anemometer positioned 2.8 meters above the sea surface. 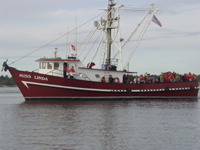 Wind direction is calculated by comparing the direction recorded by the anemometer with that of a digital compass in the hull of the buoy.